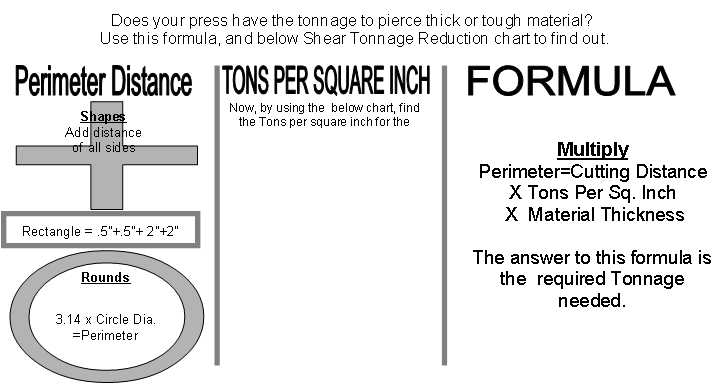 Tonnage Reduction Chart When Shear is Used. Use above Formula to find the tonnage required with no shear. Next, multiply that by the value found in this chart.